Discovering what a brewery’s culture is and who the consumer of a brewery’s product is helps a lot in determining market expansion structure. For Devils Backbone CEO Hayes Humphreys, building strong brand recognition along with having a similar culture is what he and his team look at while slowly growing the Virginia brewery’s brand. Taking the cue from veteran breweries that pick and choose carefully with what territories to enter, Devils Backbone, which began in 2008 is currently in five states (Virginia, West Virginia, Tennessee, North Carolina and Maryland) and Washington DC completely, while it “dipped its toes” into Delaware and Pennsylvania earlier this summer after doing its first major expansion of territories in 2015. Cincinnati’s Rhinegeist Brewery has taken a similar approach since opening in 2013 and is in the process of expanding beyond Ohio. The slow and steady thought process saw the brewery go from the Cincinnati area into larger pockets of the state first. 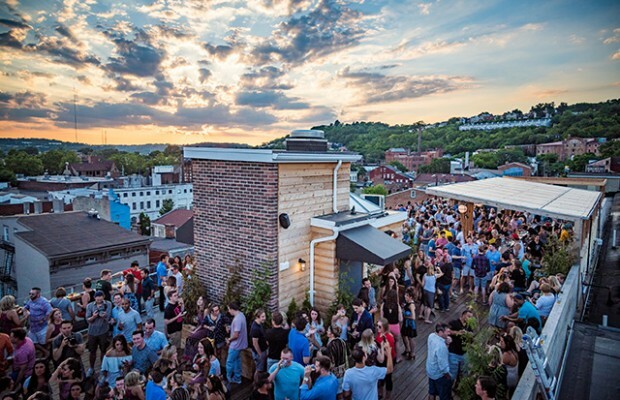 The next step is following its cider line to Massachusetts. Yet co-founder Bryant Goulding equated the deliberate decision making to choosing a bride. Slow growth and development of the markets a brewery is already in can be key when it comes to future expansion. Expansions because of growth, Humphreys explained is more justifiable than growth for expansion. He said he feels the days where a brewery can ship pallets here and there are gone. With shelf space and distributor awareness means a tighter market for recognition. Humphreys said he thinks that rate of sales in a market will trump other competitors that may have more on the shelf. 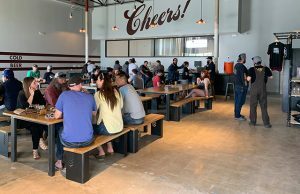 That makes it imperative during a self reflection of a brewery, the markets it is in needs to be functioning properly, otherwise growth in territory can happen while a brewery actually will suffer and lose placement in the market because lack of sales volume. 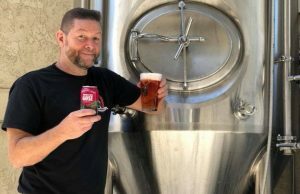 For Rhinegeist, Goulding noted with his connections on the West Coast from his days of working at Anderson Valley, he could pick up a phone and set up new market rollouts for the brewery. It has the capacity, he said, to accommodate a move as such, but it’s not the right move. 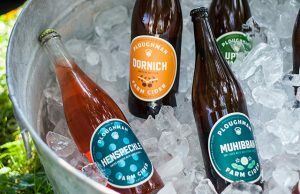 “Making sure our beer is treated right and stays fresh in the market is critical to our brand in the long run,” he said. 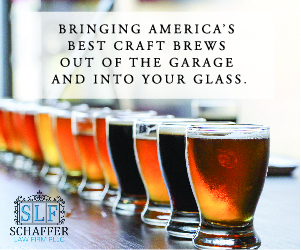 “While you can sell more fast, the goal is to make the best beer possible and to build the brand in the long run and that takes restraint. Goulding touched on the aspects that Rhinegeist took when it expanded into the Cleveland area in the summer of 2016. Finding what drives the market first was key, he said. Knowing his brand’s potential in chains and which on-premise drivers would work. Those buyers were great research to find out what wholesalers worked and which didn’t. Goulding said questions were asked about culture, professionalism and what frustrations buyers had. Looking at a wholesaler’s portfolio also was a decision driver. “If there is one with 10 or one with 20, I like the 10 because everyone gets 10-15 minutes with a buyer and if you have four or five things to pitch, with too many in a portfolio it’s hard to stay as one of the topics,” he noted. “That’s on us to get that word our also. Goulding added it’s a feel thing for a brewery sometimes in choosing who to pick as a representative in the new market. “How clean is the warehouse? How happy are the team members,” he asked about what some intangibles are. “Are they distracted or laid back? Is the workforce young and hungry or old…or is there a balance? Where is the power in the organization? Does the warehouse have case minimum drops that are going to slow down onesies, twosies sales in awesome little craft accounts? 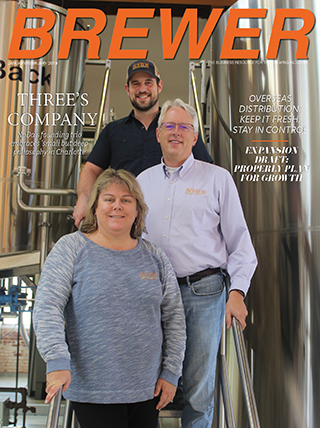 The three ideals that Devils Backbone works on in terms of researching market expansion is keeping a continuous market connected from its home of Virginia, working toward being a regional player and finding new ways to leverage relationships with current beer buyers in existing markets. Humphreys said that its search took a year before expanding in 2015 to move into North Carolina, Tennessee and West Virginia. Having places that already carry the brand and have shown commitment to the product can be a key as well.